Craving coffee and tea? You're in luck: a new business has opened its doors in the neighborhood. Called Smash Waffles, the newcomer is located at 2304 Hillsborough St. in Wade. This new sweet spot and cafe--which has another location in Greenville--specializes in house-made waffles, waffle breakfast sandwiches, signature coffee drinks and more. Look for waffle creations such as "The Swirly Sin" with brown sugar butter sauce, cream cheese icing and cinnamon sugar; "The Quilted Pig" with maple icing, candied bacon crumbles and powdered sugar; and the "Cereal Thriller" with sweet cream icing, Fruity Pebbles and powdered sugar. Smash Waffles has gotten off to a solid start thus far, with a four-star rating out of two reviews on Yelp. Zainab F., who was among the first Yelpers to review the new spot on February 1st, said: "So happy this gem came to Raleigh...Firstly, it's near NC State and will quickly become an overall favorite in addition to an undergrad/grad favorite. I do think the name is deceiving because they have more to offer than waffles--their lattes are innovative and delicious!" Yelper Mia C. added: "So far I've only been able to try one waffle and one coffee, but I really liked what I had! The swirly cinnamon tastes just like a cinnamon roll, and and the hazy (a hazelnut latte) was delicious." 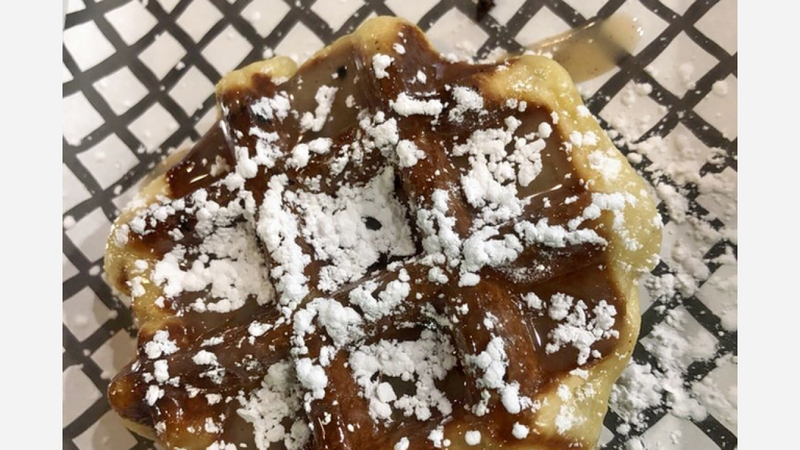 Head on over to check it out: Smash Waffles is open Monday-Thursday from 6am-10pm, Friday and Saturday from 6am-midnight, and Sunday from 8am-9pm.